Eugene B. Sledge (center, hands together) with his University of Montevallo students, ca. 1970s. 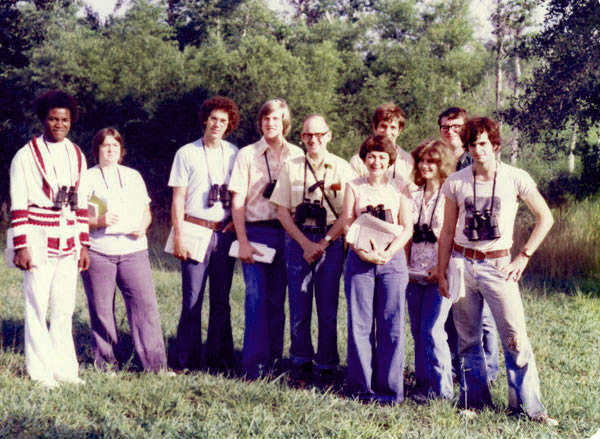 Sledge was highly regarded by students and regularly led them on scientific field trips.